Melanie Timberlake has had quite a week, crowned as Community Coach of the year at the Bucks & MK Sport Awards on November 22nd, just seven days later she was recognised nationally at the UK Coaching Awards where she picked up the award for Disability Coach of the year. 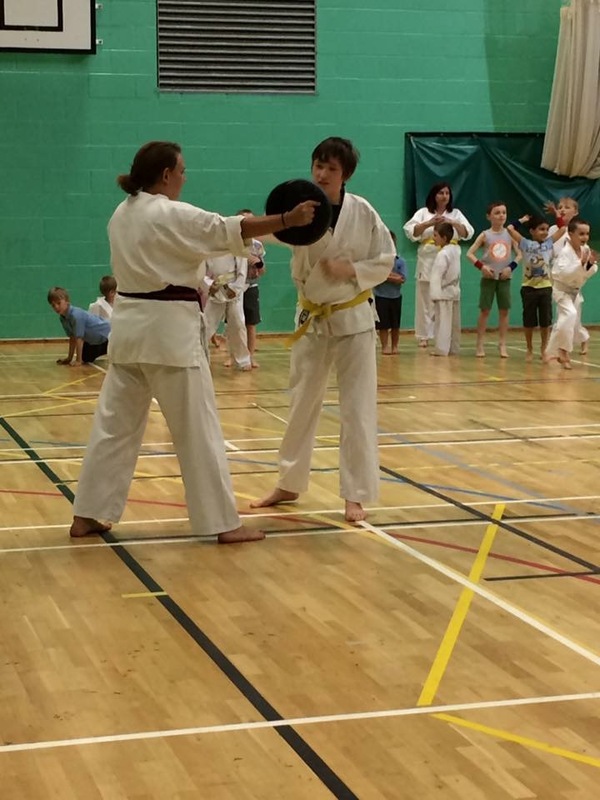 Melanie, who lives in Aylesbury, delivers weekly sessions for children and adults with disabilities in both martial arts and football. Showing phenomenal resilience Melanie has overcome a troubling childhood, post-natal depression and brain surgery to inspire others through a shared love of sport. Timberlake struggled to make friends at school but found solace through sport. In her youth, she represented her school and county in athletics and cross country, discovering sport as a way of escaping; sadly a knee injury aged seventeen ended her running career. Post-natal depression and both her children being born with disabilities meant Mel encountered struggles with her mental health, eventually being diagnosed with Borderline Personality Disorder. However, two years ago she decided to take her sons to learn martial arts. The inclusive environment boosted her confidence, improved her outlook and she fell in love with the sport. She began helping out at the sessions and has never looked back, going on to achieve her coaching qualifications. Melanie’s personal experience of disability and the power of sport mean that she is driven to show that activity can be inclusive and accessible to all. For the last 18 months Melanie has been supported along her coaching journey through a number of Leap programmes. Passionate about developing her skills, Melanie has attended over 20 workshops and training courses in the last 18 months covering topics from safeguarding and first aid to behaviour change, transferable games and mental health. Mel has also become a key member of the Project 500 female coaching group which aims to address the imbalance of male to female coaches in sport by supporting female coaches across the South East at all stages of their coaching journey. Set up in 2013, Project 500 has since helped over 500 women gain or develop coaching skills and also received national recognition at the 2018 UK Coaching Awards scooping the Transforming Coaching through Technology award. “We’re delighted that Mel has received the recognition she so rightfully deserves. Dedicated local coaches are the lifeblood of community sport and activity, making a real difference to the experience for local people. We’re also proud that for the third year running there has been a shortlisted finalist from Bucks & MK at the UK Coaching Awards, a sign that coaching in the county is going from strength to strength. If you’d like support to start or continue your coaching journey then contact Shay Fenlon.